A majority of Americans are trying to lose weight, yet two-thirds are overweight or obese. One problem is that being “on a diet” is a temporary effort that assumes an endpoint. Many popular diets are destined to fail. When you see a book or advertisement claiming you can be healthy by doing just one thing for weeks on end, stop and think about the ramifications. If your primary goal is weight loss, there are countless fad diets to temporarily shed pounds, yet they do not serve your long-term interests. Some of the most egregious examples are diets that instruct you to eat only cookies (yes, several of these exist) or drink smoothies for several days. Even if you do shed a few pounds in the short term, this works against your overall health. Even mainstream diets fail if they target a single element at the expense of the whole equation. In the early 1990s, “low fat” was the most popular type of diet. This led food companies to create products with lower overall fat. Bagel shops began to appear on every corner. Low-fat chips and crackers lined grocery store aisles. I was one of many who consumed about anything with low fat content, in hopes of being healthier. However, this dietary shift ignored the fact that it is relatively easy to reduce total fat content by adding carbohydrates, sugars, and synthetic substitutes. This allowed food companies to replace the flavor from fatty foods with something even sweeter. To a large degree, food producers simply exchanged fats for sugar-based ingredients. Attention then shifted to low-carb diets. This led people to consume greater amounts of animal products for protein, ignoring the detrimental impact processed meat can have on our health. And, while vegetarian diets have been popular for decades, they are less healthy if animal products are replaced by refined carbs and sweet foods. Even basic calorie counting is insufficient. As one expert put it, “Contrary to nutritional dogma, calories are not created equal.” It turns out, the belief that you can eat anything in moderation is dead wrong. Many popular diets have some helpful elements, but only if they are part of a more holistic approach to eating. Think of all the diets you have tried. Keep the best elements of these diets in mind as you make choices. For your overall approach to eating, find foods with less fat, fewer carbohydrates, and as little added sugar as possible. Eating well does not need to be difficult or complicated. It is possible for healthy eating to be sustainable and even enjoyable. Set your sights on foods that are good for your near-term energy and long-term health. Making a commitment to eating the right foods every day is a lot easier than jumping from one diet to the next. Once you start eating better, give it time — a lot of time. 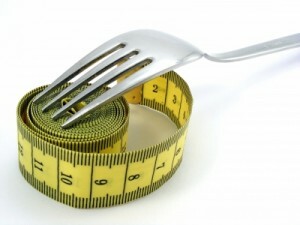 People often bounce from diet to diet because they grow impatient. The body takes a long time to react to these dietary changes, usually a year or more, according to experts. Instead of worrying about losing 10 pounds in the next month, focus on better decisions the next time you eat. When you make better choices in the moment, it benefits your overall health and well-being. For direct links to any studies referenced in this article, see citations numbered 7-12 in the Eat Move Sleep Reference Explorer application.